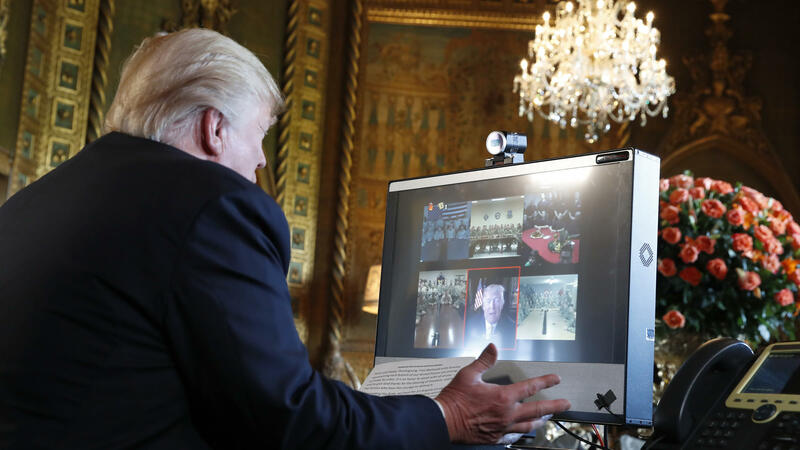 President Donald Trump speaks with members of the armed forces via video conference at his private club, Mar-a-Lago, on Thanksgiving, Thursday, Nov. 23, 2017, in Palm Beach, Fla.
President Donald Trump, with first lady Melania Trump, speaks to members of the U.S. Coast Guard at the Lake Worth Inlet Station on Thanksgiving. The president also spoke to U.S. service members abroad, via a video call from his private Florida club. Trump announced in August that he would be deploying about 4,000 additional troops to Afghanistan, which would put the U.S. force there at about 12,500. He pointed to the move on Thursday, saying "everybody is talking" about the progress that's been made in the time since. "We opened it up. We said go ahead, we're going to fight to win. We're not fighting anymore to just walk around. We're fighting to win," the president said. 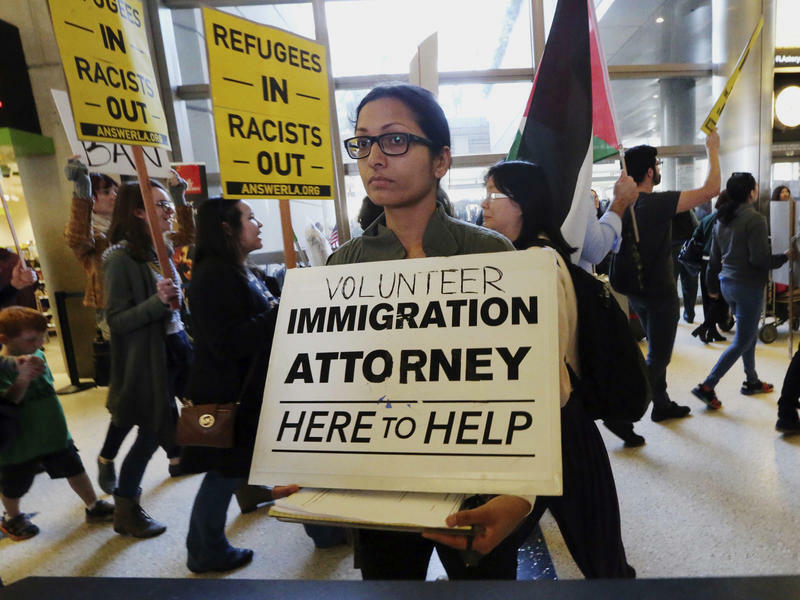 "And you people are really — you've turned it around over the last three to four months like nobody has seen." 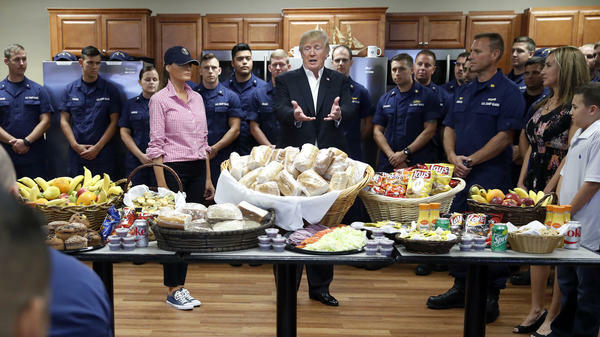 Trump made multiple references to how the U.S. military is faring under his administration compared to how it had fared under former President Obama. 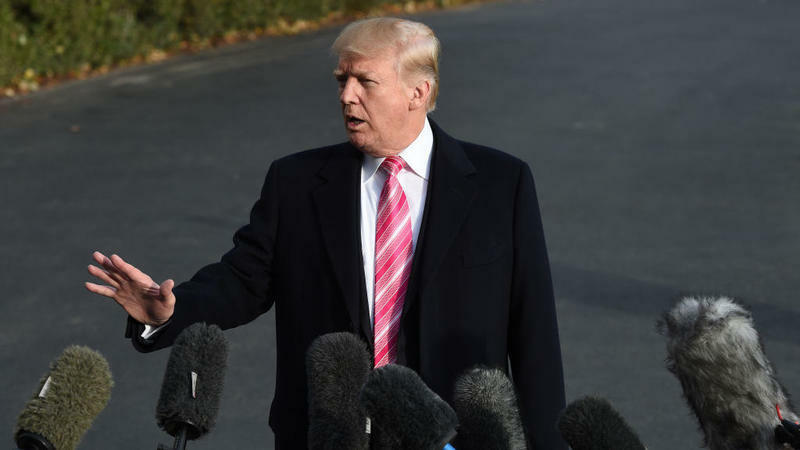 "Believe me, everybody in this country is watching and they're seeing, and they're seeing positive reports for a change, instead of the neutral and negative reports," Trump said. "It's all positive." Trump also pointed to the economy in the speech, telling the service members that "when you come back, you're going to see with the jobs and the companies coming back into our country and the stock market just hit a record high. Unemployment is the lowest its been in 17 years." "So you're fighting for something real," he said. "You're fighting for something good." Trump also released a Thanksgiving video message to the American public on Thursday. "Today we give thanks for all the pilgrims, pioneers, and patriots who have gone before us," he said. "And for all those warriors who have kept us safe and free."